Patna,Bihar Chief Minister Nitish Kumar recommended a CBI inquiry into the alleged sexual exploitation of girls at a state-funded shelter home in Muzaffarpur district. Terming the incident “deplorable”, the decision to handover the case to the CBI was taken to prevent rumour-mongering in the state, an official release said. “Chief Minister Nitish Kumar has directed the Chief Secretary, Director General of Police and Principal Secretary (Home) to immediately hand over the case to the CBI,” it said. “A deplorable incident has taken place in Muzaffarpur, where the police has been carrying out a diligent investigation. 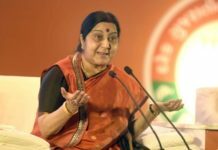 Although the government was committed to conducting an impartial probe, the decision for handing over the probe to the CBI has been taken to dispel the ‘bhram ka vatavaran’ (environment of rumours) that was being created,” the release said. Opposition parties in the state, while demanding a CBI inquiry, had alleged that the state government was baulking at handing over the matter to the central agency as it wanted to “shield” some of the key accused who were said to be close to the ruling dispensation.